The main characters of „Madame Tyson” are: the first women in the world of Senegalese wrestling, the promoter of the fights and politician Ndeye Ndiaye Tyson and two young Senegalese men: Modou and Thiam. Despite being illiterate, Ndeye Ndiaye Tyson has become famous and is now a role model for lots of her compatriots. Currently Tyson hires an assistant and travels in a huge Honda driven by a chauffeur. Wherever she appears people treat her with a great recognition and respect. Modou and Thiam want to change their lives through to the wresting. 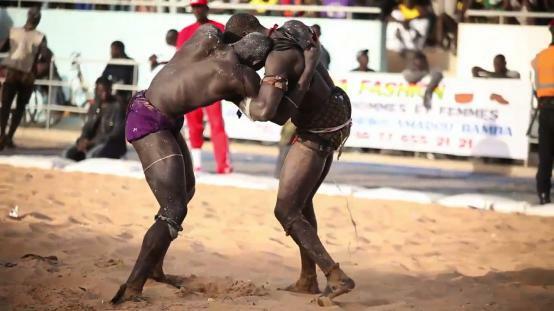 They compete because each of them hopes to get noticed by the famous promoter one day, become a master of Senegalese wrestling and win the fight for better life. Edward Porembny was born in Poland and started his career in Paris, France, where he obtained a degree in Film and Art before crafting a successful career directing documentaries - winning several awards in the process - for leading French broadcasters including Canal +, France 2, France 3 and TF1. With ‘Space Traveller’, a film about astronauts that won the top award of the 1992 International Film Festival in Lectoure, France, he directed his first co-production, a collaboration between Canal +, La 5, and CNN. His experience then allowed him to venture into the world of commercial advertising, shooting commercials around the world for a selection of agencies and clients including D’Arcy, Leo Burnett, Philip Morris, P&G and PDDB. Edward founded his production company AMP Polska and within a year completed his first feature, the UK/Polish co-production ‘Inheritance’. Edward took part in Strategic Marketing Workshop in Luxemburg, 2006, in the EAVE workshop 2007, and in the Moonstone Film Lab 2007, as well in Prime Packaging workshop in 2008.